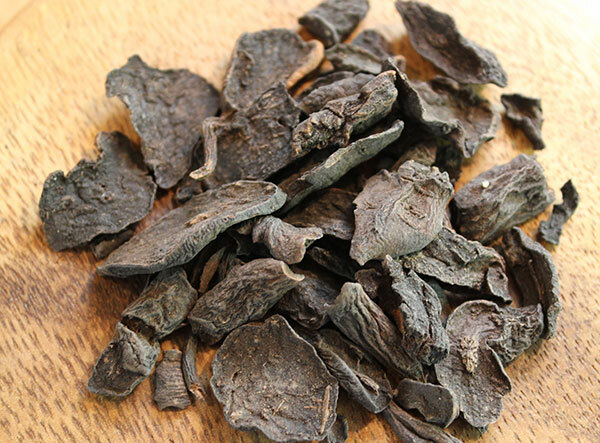 Fo-ti root (Polygonum multiflorum), also called he shou wu (or ho shou wu), is one of the most important traditional Chinese "longevity herbs" classified under the system of major tonic herbs. 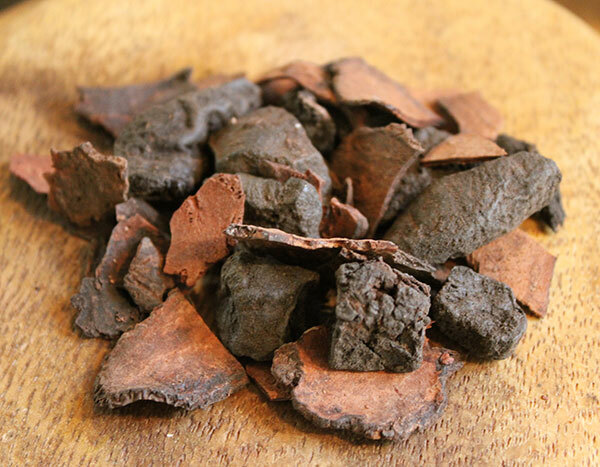 It is a famous tonic adaptogen that is highly valued for its tonifying effects on kidney Yin and liver functions. 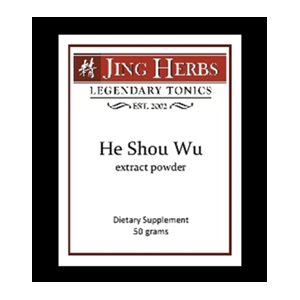 Considered a top "Jing" herb (one of the 3 treasures in Chinese herbalism), it is known to replenish the "root of our vitality" by providing deep nourishment via Jing essence to these vital organ systems. Regular consumption of teas or extracts are believed to be particularly strengthening to the lower back and knees as well as fortifying to the bones, muscles and ligaments. 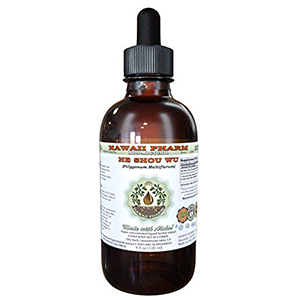 Fo-ti is one of the main ingredients in the patent longevity herbal formula, Shou Wu Chih, originally developed by the well-known herbalist Moo San Do Sha. 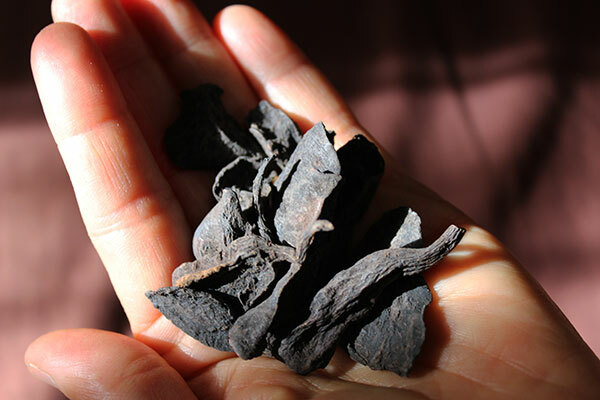 It contains other tonics such as rehmannia and dong quai, and is used as an anti-aging rejuvenation elixir throughout China. Fo-ti root is known for its ability to concentrate tremendous amounts of "Chi" and nutritional components into its dense root system. When the roots are consumed, these life-giving nutrients are thought to be transferred. Although it is revered as an overall energizer to the body, fo-ti can also have a calming and grounding quality. 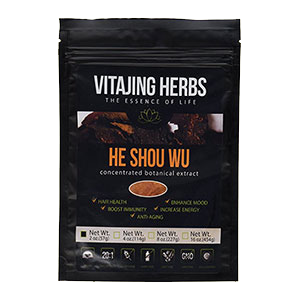 He shou wu is native to China and has a deep-seated history among Taoist longevity masters who were proposed to have lived healthy and youthful lives well over the age of 100. One of the greatest legacies told throughout Asia is the story of Li Ching-Yuen, tonic herbalist and Taoist master. 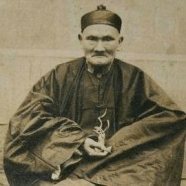 As the legend depicts Li Ching-Yuen was said to have lived to the age of 252 consuming large doses of tonic brews and tinctures consisting of ginseng, fo-ti root, gotu kola, reishi and goji berries. He was actually published in the 1933 edition of the Guinness Book of World Records as the world's oldest living man (1678-1930), but since then this claim as been retracted as myth. However, this story, as well as many others, represent the traditionally recognized notion of Taoists living well beyond what we think is humanly possible. 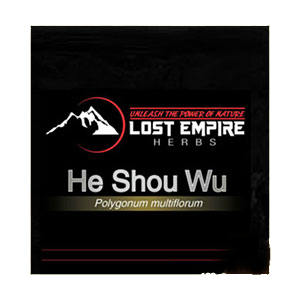 This is believed to be due, in part, to the regular consumption of tonic herbs, like he shou wu. 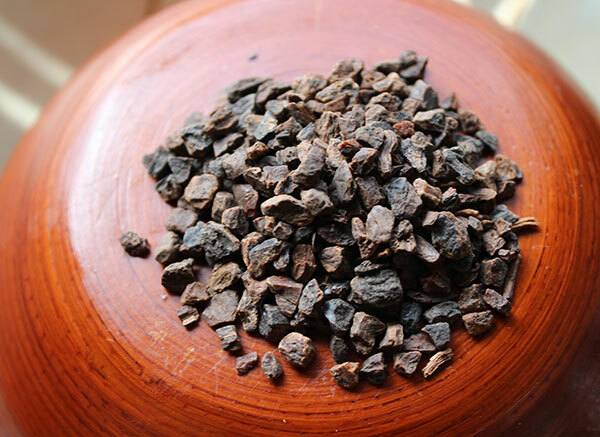 Fo-ti root is specific for building strength in the kidneys and is often considered an essential herb for those with "kidney Yin deficiency" or those suffering from extreme fatigue, weakness, cortisol depletion or adrenal exhaustion. 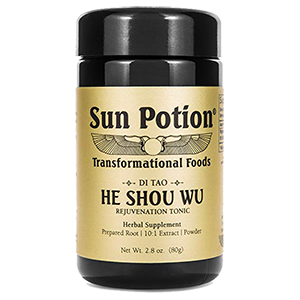 As we mentioned, he shou wu's benefits as a Yin tonic can be naturally strengthening to the skeletal structure as well as one's muscular physique. In TCM (Traditional Chinese Medicine) "yin" is the material basis for "yang" energy and therefore, when deficient, needs to be replenished in order to build back strength and stamina. All yin energy in the body comes from the kidney Yin and is the reason the kidneys are often referred to as the "root of our vitality" with their position seated close to the bottom of all major organs. They are a store house for vital life energies, called "Jing" or "essence" in Chinese medicine, and are in charge of reproduction, water metabolism, filtering of the blood and waste removal. Fo-ti extracts and teas used over a period of time naturally help to restore Jing energy and support healthy kidney functions. 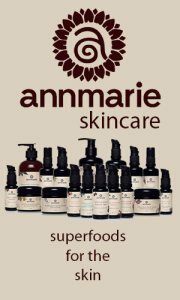 As we age, we become more susceptible to yin deficiency which is represented by the drying of the skin, hair and tissues of the body. However, there are many lifestyle habits that can contribute significantly to the depletion of kidney Yin over the course of a lifetime. This includes the consumption of low quality foods, sodas, alcohol, salty foods, pharmaceuticals; as well as smoking, chronic emotional stress and exposure to environmental pollutants in the air we breathe and foods we eat. 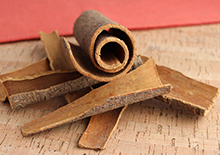 We personally feel that using major tonic adaptogens, like fo-ti root, on a regular basis are especially important as an adjunct to a health promoting diet and lifestyle. Most people living in modern-day society are extremely Yin deficient, burning the candle at both ends so-to-speak. This is one of the reasons why we promote fo-ti root as one of our top 10 superfoods. It is important, however, to consider your own unique constitution and specific health conditions as some herbs (or combination of herbs) may be more appropriate for one's individual needs and health objectives. Also, the guidance of a qualified Chinese herbalist may be very beneficial for tailoring personalized formulations. 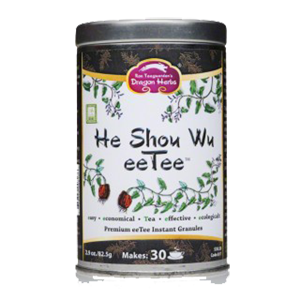 Fo-ti, or he shou wu, is known for its calming effects on the mind as well as its ability to relax kidney/adrenal stress associated with the premature graying of hair. It is frequently utilized throughout China to help encourage original hair color and pigmentation. It is also respected as a hair restorative, helpful for promoting hair growth. This is in part due to fo-ti's effects at balancing hormones as well as strengthening the organs of elimination (kidneys and liver) which in turn increases circulation and blood flow to the hair follicles, stimulating new growth and hair thickness. 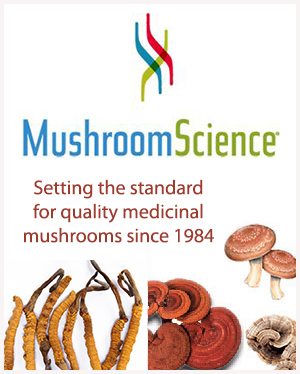 According to one study, "Extracts of P. multiflorum have been reported to promote hair growth in vivo." Fo-ti root is acknowledge as an aphrodisiac for its libido-enhancing attributes and is specifically nourishing to the reproductive system in both men and women. 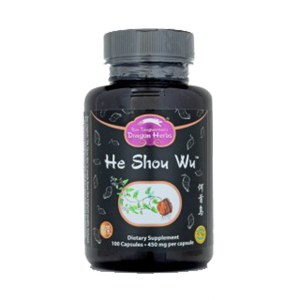 It is often claimed to be helpful for increasing fertility due to its revitalizing effects that promote Yin fluids. 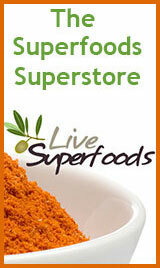 In addition, it helps to support and protect the liver. The liver is in charge of constructing various building blocks needed for proper hormone production and activity that keeps our reproductive systems healthy and strong. One of the legendary stories about fo-ti root's discovery is in the book called "The Legend of He Shou Wu", written by Li Ao of the Tang Dynasty (618-907). In it he writes about the story of Neng Si, a 58 year-old man in poor health who was never able to bear children. 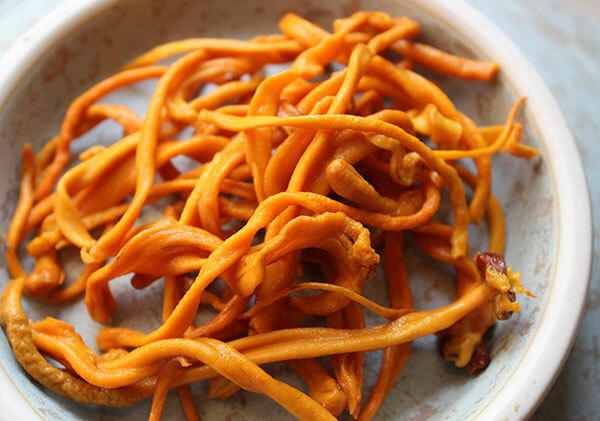 He was the first to discover a twisting 3-yard vine of fo-ti that appeared to be "making love" and out of curiosity took the root home and used it for a period of time. The liver is the "master detoxifier" and one of the top major organs responsible for the state of our bloodstream. It is often likened to the river systems that nurture, feed and cleanse the earth itself. Likewise, when the blood is running unobstructed, it is subsequently able to help the liver do its job at purifying the body. 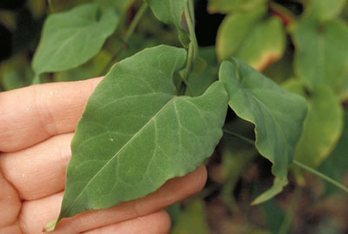 Polygonum multiflorum can provide a gentle liver detox by cleansing as well as building the blood. It is known to clear redness from the eyes (a sign of liver stagnation). One should only use prepared or cured root, however. Raw or uncured fo-ti should largely be avoided as it can be potentially toxic to the liver organ. 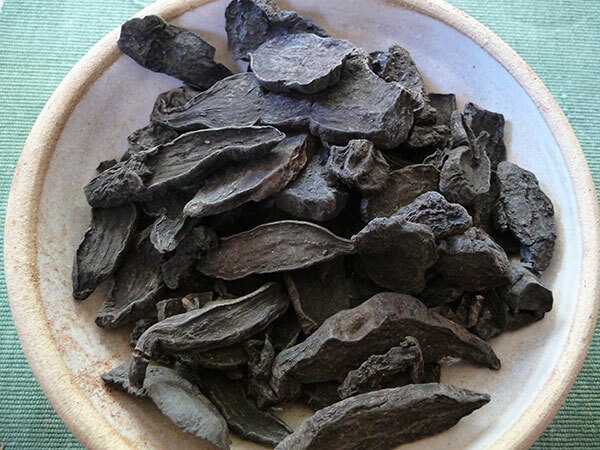 Usually, he shou wu is available a prepared dried root or as a raw fried root. We ALWAYS use "prepared" roots as opposed to raw versions. Again, raw fo-ti can actually be toxic to the liver when consumed in high amounts and it best avoided. It is always important to purchase the prepared or cured herb from high quality sources that are processed appropriately using traditional Chinese methods. Prepared roots are stewed in black soybean broth and may undergo various steaming and drying techniques. 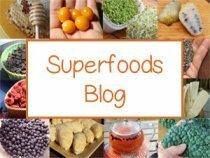 They are very different than raw unprepared fo-ti which, in our opinion, should never be consumed because of its hepatotoxic effects that have been shown in some research to have the opposite results on the liver organ. 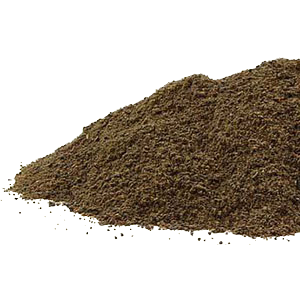 Cured fo-ti is a dark black-brown color with a sometimes reddish-brown pigment, whereas raw unprepared roots generally have a light brown or off-white color. 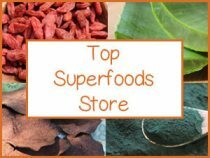 Superoxide dismutase, also called SOD, is a natural antioxidant enzyme produced within the body that plays a significant role as a free radical scavenger and protects against DNA damage. Another principle antioxidant constituent of Polygonum multiflorum is TSG (or Tetrahydroxystilbene glucoside). TSG, derived from fo-ti root, is shown in a Chinese study to help increase SOD as well as improve memory and regulate body weight. The studied result also suggested, "that TSG had a promising anti-aging effect by regulating the Klotho gene." Fo-ti is high in iron content which makes it an ideal tonic for building the blood and preventing anemia. It contains more than both dong quai and goji, which are known to have considerable amounts. 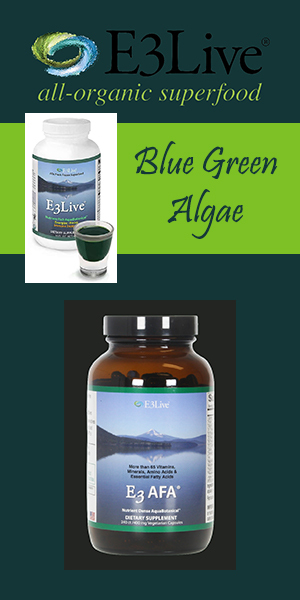 It is an important nutrient for energy production, muscular functions and also supports a healthy circulatory system. 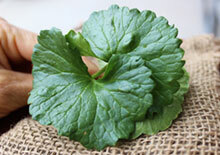 Fo-ti root is very rich in zinc, containing 24 times the amount of other herbs with about 42mg of zinc per 100grams. This is much higher than even animal foods which normally contain between 3-5mg per 100g. 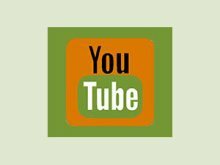 People who eat a high raw vegan or vegetarian diet are often deficient in this important mineral, which is required for cellular metabolism, neurological functions, healthy immune response, reproductive vitality and muscle growth. 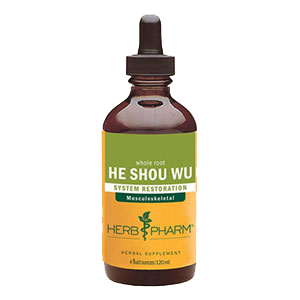 He shou wu is a good source of lecithin and choline, helpful for cognitive function. A constituent in lecithin, called inositol, is also known to be good for maintaining healthy blood pressure and cholesterol levels. Nourishes deep energy; kidney Yin and "Jing"
One of our favorite ways to prepare fo-ti is as a tonic tea. All adaptogens need to be simmered to release their beneficial properties and healing components. This involves using the dried root pieces (or sometimes slices) and preparing a decoction by simmering it for 20 minutes to an hour or more in water. This produces a dark richly-flavored tea you can drink throughout the day. 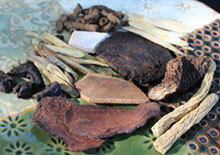 We usually decoct fo-ti with other tonic herbs and liver cleansers like reishi, eucommia and dandelion root. It is cheaper in the long run to buy it in bulk quantities which gives you a large supply to keep up your tea making habits. There are different grades you can purchase, with the higher quality "premium" roots being older and also more expensive. 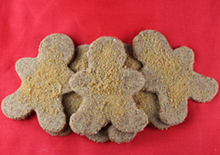 We usually buy different grades and mix them together. 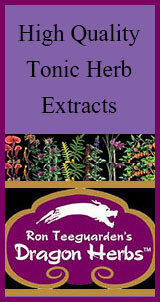 Tinctures can be a convenient way to take fo-ti as they are easy to add into teas or can be blended into water. Herb Pharm offers a high quality prepared fo-ti tincture containing distilled water, certified organic grain alcohol and fo-ti root extractives. 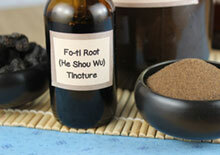 Or make your own homemade fo-ti root tincture. You can also use powdered hot water herbal extracts or capsules.The best company in our opinion for high quality tonic extracts is either Jing Herbs or Dragon Herbs. 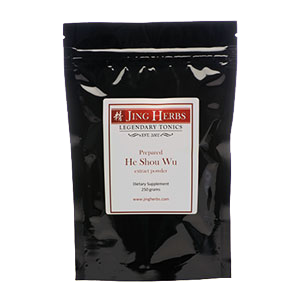 Jing Herbs sells the prepared powdered extract as a loose powder as opposed to capsules. 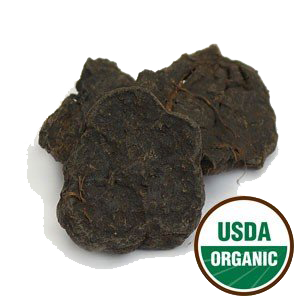 Fo-ti root extract or teas are generally safe to use over a long period of time. It is important to follow the recommended dosage amount on each product label as each brand may offer different ratios. Simmer on low in a glass or ceramic pot for at least 20 minutes with the lid on. 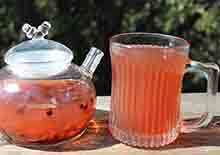 For greater effects it is best to consume teas or extracts throughout the day as opposed to all at once. 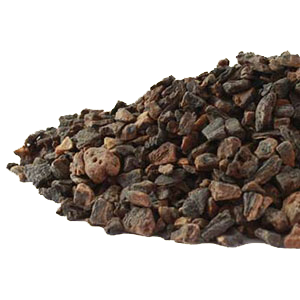 Prepared fo-ti root is considered to be safe and suitable for long-term use. 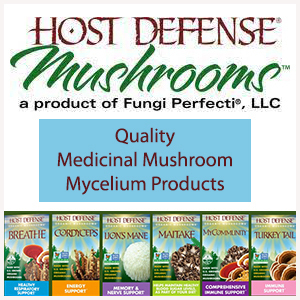 When consumed in high quantities, it can cause mild gastrointestinal disturbance, characterized by loose stool. As we mentioned, you should only use "prepared" roots rather than "raw" versions, which are known to be toxic to the liver. Seek the advice of your physician if pregnant or nursing, or if you have a serious medical condition or are taking prescription medications.